The JMC Group combines decades of aviation recruitment experience with a desire to deliver a class leading service. Every great company has an origin story, and ours is no different. Our story started in July 2008, when the first JMC Recruitment office opened on the outskirts of Exeter International Airport. Rapid growth and the success of our innovative model allowed us to move to our new premises close to Exeter International Airport. JMC launched Aircraft Tank Services, offering scheduled and AOG fuel tank repairs. We also introduced our Fixed Price Engineering Packages. The 2013-14 season saw JMC Group take pride of place as a kit sponsor for Exeter City Football Club. JMC establishes dedicated permanent recruitment division to further enhance our capability portfolio and give additional services to our clients. JMC Recruitment opens a new branch in Malta and a new company in Budapest, in order to support new clients. Autumn 2015 saw the launch of our ground-breaking Swift recruitment portal. JMC Recruitment gained ISO9001:2015 accreditation, as part of our commitment to quality. JMC Recruitment receive prestigious, inaugural "Award for Great Service" at the Jet2.com Supplier Conference. Warren created JMC Recruitment Solutions out of a belief that things could be done differently; out of a belief that there was an opportunity to create a unique recruitment business that works in partnership with its clients; not just to provide a service but to provide a tailored solution to their recruitment and maintenance needs. Having spent his career in the engineering sector, starting out as a fitter on the shop floor and later as a link man, Warren has a unique perspective that combines a contractor mentality with robust commercial understanding. Warren has carefully selected the team at JMC, fostering an attitude that supports his own commercial drive – to create a unique company for both the employees and clients. He takes great personal pride from the company’s ability to react and cater for client requests in a timely and comprehensive manner. Warren and the JMC team have become incredibly adept at understanding our clients’ businesses, anticipating their needs and preparing solutions to exceed their expectations. This has, in no small part, contributed to our 100% retention record and commercial success thus far. 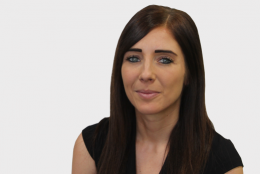 Hollie joined JMC in 2009, with the objective of insourcing the organisation’s payroll requirements. Having successfully established this business function, Hollie went on to assume responsibilities for a range of JMC’s operational activities. Having grown with the business since it’s early inception, Hollie embodies the deeply held values structure that exists at JMC. Underlying these values is a desire to create an organisation that seeks to develop and empower its personnel; and to provide its clients with a series of products and services that is as diverse and as personalized as the challenges that they each face. As the Commercial Director, Hollie has assumed overall commercial responsibility for the JMC Group’s portfolio of products and services. This means that she is tasked with ensuring that innovation and quality remain a driving force for the business, and that we continue to exceed our client’s expectations at every opportunity. Craig provides a wealth of industry experience, having led the sales and commercial functions for a portfolio of high-profile organisations that offer base and line maintenance operations, technical training, technical services, parts/aircraft tools and component repair services. 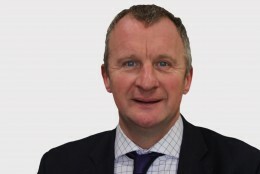 His expertise and knowledge of JMC’s product range and along with broad and varied understanding of the industry make him exceptionally well suited to assist JMC’s current and future clients, helping to develop tailored solutions to address their specific needs. 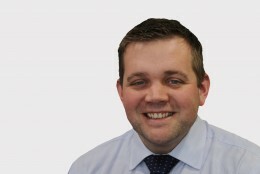 As Head of Business Development, Craig is ultimately responsible for ensuring the satisfaction of JMC’s customers. 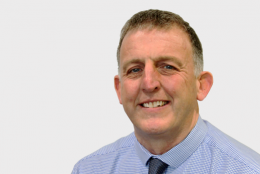 Along with the rest of JMC’s leadership team, Craig is committed to continuously developing JMC’s product and service catalogue, achieving the highest-quality service and ensuring that the business remains one step ahead of the competition. 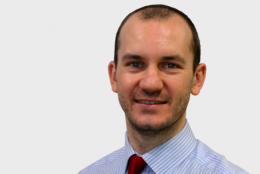 Matthew is a chartered management accountant with experience in consultancy, construction, renewables and the aviation recruitment and engineering sector. Having joined the JMC Group in early 2016 as the Group’s Financial Controller, Matthew provides the Group’s companies with sound financial planning and counsel. Matt takes great enjoyment from ensuring that the relevant business leaders and stakeholders are provided with the timely and accurate financial information they need to run their businesses effectively, and in support of the Group’s wider objectives. As keen sportsman, Matt is passionate about healthy living, something he enjoys sharing with his young family. Jamie has more that 15 years’ experience in the recruitment sector encompassing both permanent and temporary recruitment. Throughout the course of his career, Jamie has provided specialist recruitment support to organisations operating in several complex industry sectors including education, engineering, and aviation. Jamie originally joined JMC as a recruitment manager before taking over as the Head of Operations at the end of 2018. Jamie has dedicated himself to continually improving both the customer and candidate experience; introducing new processes and technologies to make the entire recruitment process more efficient and more accessible. As the Head of Operations, Jamie is able to seamlessly integrate the business functions necessary to continually deliver a high-quality service whilst also being responsible for the provision of more than 1,000 contract engineers per week. Jamie’s determination to provide a class-leading service regularly motivates him to go above and beyond the call of duty to ensure that both contractor and customer expectations are exceeded. Michael “Mick” Marshall started his career as an apprentice Aircraft Mechanic for British Airways at Heathrow in 1980. With his time-served under one of the most respected apprenticeships in the world and having spent time working as an approved engineer, Mick later moved to a smaller airline, British Air Ferries, operating out of Southend Airport. Mick remained at British Air Ferries until 1996, gaining his UKCAA Aircraft Maintenance Licence and assuming the role or Inspector/Supervisor. He later moved to Jersey European Airways, now Flybe, before embarking on a career as a contract engineer. Mick returned to Flybe a number of times over the years, working on a contract basis as a licensed certifier in both the Base and Line maintenance environments. 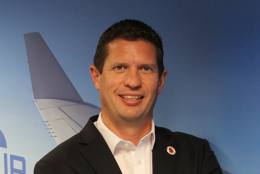 During his time as a contract engineer Mick worked for a host of airlines in the UK, Europe and the Middle-East, including Swiss International Airlines, Gulf Air, TNT, KLM UK, Brussels Airlines, as well maintenance organisations such as F R Aviation and Inflite. Mick holds EASA Part 66 B1 and C licences with Type Ratings for Fokker F27, BAE146/RJ, Embraer 145 and 170/190 aircraft. Mick joined JMC Recruitment Solutions in 2013 as the Safety and Quality Manager to attain ISO9001-2008 accreditation and to develop a Maintenance Organisation Exposition for the ever evolving JMC Engineering. Today, Mick provides safety and quality oversight and support for all of the JMC Group’s interests. Mick is a valuable asset to the JMC Group. He works closely with colleagues and clients to find effective solutions to challenges that they may be experiencing. A consummate professional, Mick has incredibly high standards that translate into an enhanced culture of safety and quality throughout JMC. Prior to joining the JMC Group, Charlotte worked in private practice where her core area of work was commercial contracts and company law. Charlotte joined the JMC Group in the spring of 2015, as its in-house solicitor. Her day-to-day role typically involves drafting, reviewing and negotiating agreements and documents and advising the management team on where the risks to JMC might lie and how best to lessen them. Charlotte gets a real sense of satisfaction if she is able to achieve a good deal for the JMC Group that will benefit the organisation and our customers around the world. 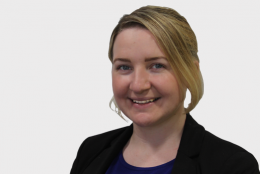 Emma joined the JMC Group having established her career within the legal services sector. It was here that Emma first developed her passion for, and drive to pursue a career in HR. 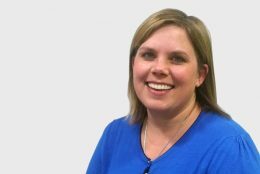 Emma is an active member of the Chartered Institute of Professional Development (CIPD) and in 2016 was awarded a CIPD certification in Human Resource Management. Emma professes to enjoy the diversity that an HR generalist position offers, and is passionate about providing the JMC Group companies with a professional, comprehensive and high-quality HR service. Emma and her team are responsible for every aspect of the Human Resources portfolio, whether that be training and development, talent acquisition and retention or colleague support. Emma thrives when we pose challenges to keep her on her toes. Away from the office, Emma enjoys adventuring out into the Devonshire countryside to capture her latest photographic masterpiece.